Welcome to Disease-associated Enhancer Catalog! 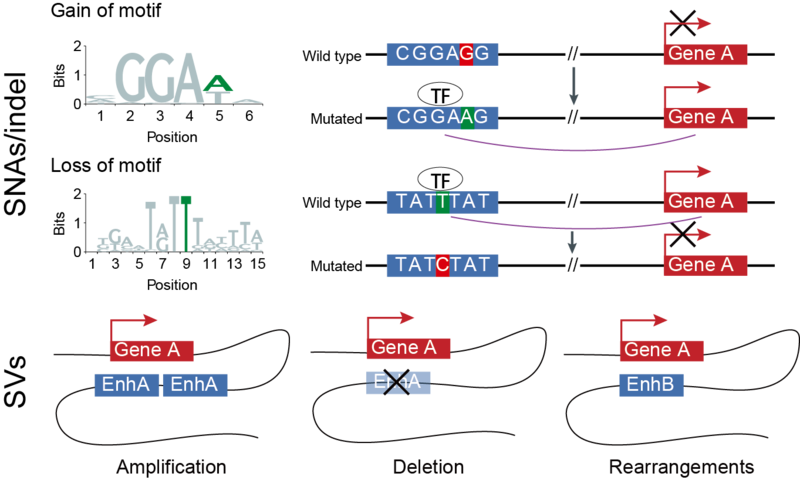 Genetic alterations/variants of enhancers make an essential contribution to disease progression. And more than 3 million of enhancers generated by international consortiums indicated that disease-associated enhancers will open a brand new view of pathophysiology. DiseaseEnhancer provides a comprehensive map of manually curated disease-associated enhancers, which includes 1059 disease-associated enhancers in 167 human diseases, involving 896 unique enhancer-gene interactions. We also manually collected their dysregulated target genes and mechanistic-related information, such as the associated variant types (including single nucleotide variant, somatic mutation, indel and copy number alteration) and affected transcription factor bindings. Additional genome data were also integrated into DiseaseEnhancer to help characterize disease-associated enhancers. Some of the coordinates of variants were represented in 0-based and 1-based system, now the coordinates were all represented in 0-based. New release of DiseaseEnhancer, 212 disease-associated enhancers were added. DiseaseEnhancer now includes 1059 disease-associated enhancers in 167 human diseases. DiseaseEnhancer provides a comprehensive map of manually curated disease-associated enhancers, which includes 847 disease-associated enhancers in 167 human diseases. If you use DiseaseEnhancer in your work, please cite our publication: DiseaseEnhancer: a resource of human disease-associated enhancer catalog. Nucleic Acids Res. 2018. Copyright © 2017 College of Bioinformatics Science and Technology, Harbin Medical University All rights reserved.